I am going out on a limb here. From my reading of Scripture I see Adam coming first in order for Christ to come. I see John the Baptist coming first in order for Christ to come as well. Could I also saw I see the Bride coming before Christ can come again? Adam was the first man and Christ the second or last Adam. Adam had to come first and prepare the way for Christ to manifest as the last. John the Baptist had to come first, be birthed, to bring about the way for for Jesus to come forth in His ministry. So likewise the Bride of Christ must come forth in full manifestation in order for Christ to come back in full manifestation. The term “made herself ready” is very interesting in the Greek. It means – drawn from the oriental custom of sending on before kings on their journeys persons to level the roads and make them passable. Make herself ready by leveling the roads to make them passable for Jesus to come as King. 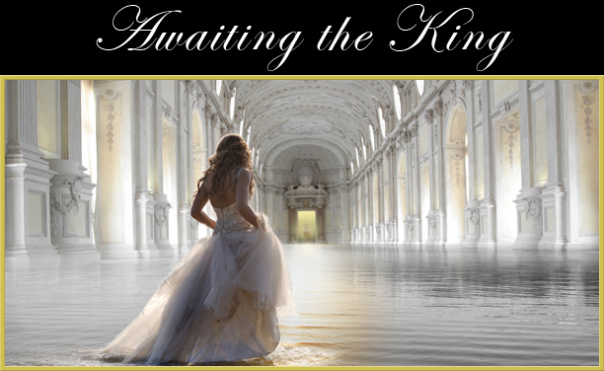 I believe firmly that Christ is coming back for a beautiful bride and not a confused divorcee. There is only one thing we need to be divorced from and that is the law (see Rom. 7:1-6). Only to be married to Christ. Did you know even God is divorced (see Jer. 3:8)? No wonder why He hates it so much, because He understands it. Hello Brother, mind if I share this link in my post? While, there are a couple points you make that I don’t completely agree with, this post as a whole definitely makes sense. It also coincides with something Paul wrote from a different perspective and in a different context. “Lest you be wise in your own sight, I do not want you to be unaware of this mystery, brothers: a partial hardening has come upon Israel, until the fullness of the Gentiles has come in. And in this way all Israel will be saved, as it is written, ‘The Deliverer will come from Zion, he will banish ungodliness from Jacob; and this will be my covenant with them when I take away their sins. '” (Romans 11:25-27 ESV). Although Paul’s overall message in Romans 11 was that Gentiles are grafted into the root of Israel for salvation, the end of the chapter points out that all of Israel will be saved as God’s chosen people. In verse 25 Paul makes the point that this won’t happen “until the fullness of the Gentiles has come in.” The fullness that Paul is referencing seems like a related concept to your idea that the bride must be ready before Yeshua returns. Yes I agree. I believe Scripture also says that they will become jealous of us in Romans 11:11. Then the One New Man will come into completion. I took the liberty as I was posting now. Please let me know if you would like me to remove the link and I would do so. Thank you, Jordan, for going out on a limb! I love it!